I wouldn't say that I suffer with super bad break outs, but I rarely have clear skin. I have dry sensitive skin too which makes it harder when buying products! I was sent the Magnitone Lucid around a week ago, and am amazed with the results!! It aims to give "Softer, clearer, + brighter skin in just 7 days." I for one can say it keeps to its word. 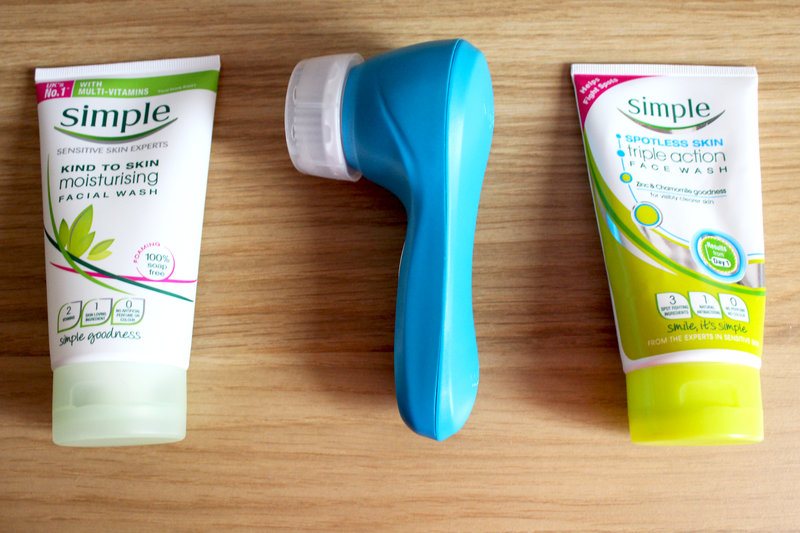 To use, just apply a small amount of your normal face wash (I've shown the 2 I use above) and gently work into the skin. 1 charge lasts 2 weeks! This is great as you can go away for a few days and not have to take the charger with you. Within 2 days I could see a massive difference. My skin was less sensitive, have virtually no spots, and wasn't as red. It only takes 1 minute a day. The aim is to spend 20 seconds on a third of your face; such as forehead, left cheek, and right cheek. 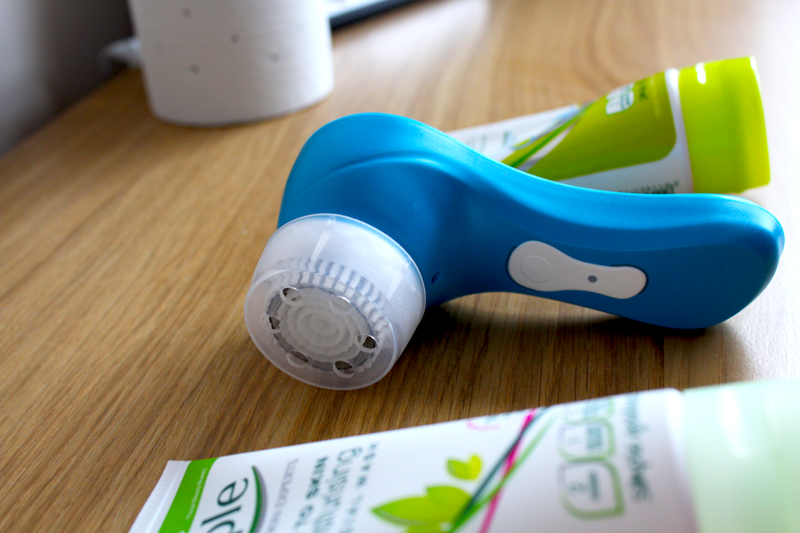 The Magnitone will beep after every 20 seconds, and will automatically stop when you're done. I have found no faults so far with this product. I guess the only thing I would say is that I wish I could use it for longer as it feels like a mini massage every time I use it! The Magnitone is slightly pricey at £69.99, but as it lasts for years, I think it's worth it! Where can I buy? po.st/SPX3ZE USE THE CODE LaurenB20 FOR 20% OFF. Great post! Hopefully I can get my hands on this as I've had unclear/bad skin for almost two years. One question though, if you don't use it for a day or two does it break you out? Thanks! Hopefully the magnitone will clear it up for you :) No not really, I just get a few spots but as soon as I use the Magnitone they go away. Hope that helps! It's amazing to have results so quickly from that! !